A horror story and a love story at the same time. 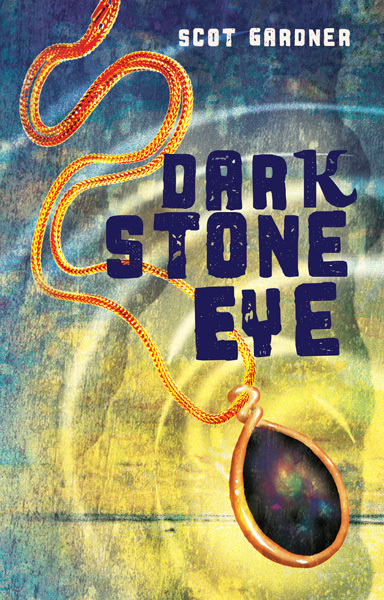 12 year old Ben’s Nanna has told him of the mysterious jewel that looks like a dark eye – and the powerful effect it has on all who have owned it – many times. As the stone in the story makes its way around the world, you never know where it may end up. This cover design is opalescent with a hint of the sinister reflected in the typography.